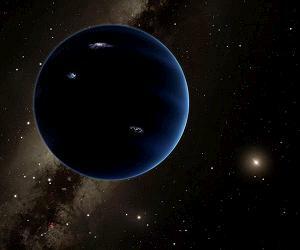 File image of Planet Nine/Nine artist illustration. Last year, the existence of an unknown planet in our Solar system was announced. However, this hypothesis was subsequently called into question as biases in the observational data were detected. Now Spanish astronomers have used a novel technique to analyse the orbits of the so-called extreme trans-Neptunian objects and, once again, they point out that there is something perturbing them: a planet located at a distance between 300 to 400 times the Earth-Sun separation. Scientists continue to argue about the existence of a ninth planet within our Solar System. At the beginning of 2016, researchers from the California Institute of Technology (Caltech, USA) announced that they had evidence of the existence of this object, located at an average distance of 700 AU or astronomical units (700 times the Earth-Sun separation) and with a mass ten times that of the Earth. Their calculations were motivated by the peculiar distribution of the orbits found for the trans-Neptunian objects (TNO) of the Kuiper belt, which apparently revealed the presence of a Planet Nine or X in the confines of the Solar System. Now, however, two astronomers from the Complutense University of Madrid have applied a new technique, less exposed to observational bias, to study a special type of trans-Neptunian objects: the extreme ones (ETNOs, located at average distances greater than 150 AU and that never cross Neptune's orbit). For the first time, the distances from their nodes to the Sun have been analysed, and the results, published in the journal 'MNRAS: Letters', once again indicate that there is a planet beyond Pluto. "If there is nothing to perturb them, the nodes of these extreme trans-Neptunian objects should be uniformly distributed, as there is nothing for them to avoid, but if there are one or more perturbers, two situations may arise," explains Carlos de la Fuente Marcos, one of the authors, to SINC. "One possibility is that the ETNOs are stable, and in this case they would tend to have their nodes away from the path of possible perturbers, he adds, but if they are unstable they would behave as the comets that interact with Jupiter do, that is tending to have one of the nodes close to the orbit of the hypothetical perturber". "Assuming that the ETNOs are dynamically similar to the comets that interact with Jupiter, we interpret these results as signs of the presence of a planet that is actively interacting with them in a range of distances from 300 to 400 AU," says De la Fuente Marcos, who emphasizes: "We believe that what we are seeing here cannot be attributed to the presence of observational bias". "It is the first time that the nodes have been used to try to understand the dynamics of the ETNOs", the co-author points out, as he admits that discovering more ETNOs (at the moment, only 28 are known) would permit the proposed scenario to be confirmed and subsequently constrain the orbit of the unknown planet via the analysis of the distribution of the nodes. The authors note that their study supports the existence of a planetary object within the range of parameters considered both in the Planet Nine hypothesis of Mike Brown and Konstantin Batygin from Caltech, and in the original one proposed in 2014 by Scott Sheppard from the Carnegie Institute and Chadwick Trujillo from the University of North Arizona; in addition to following the lines of their own earlier studies (the latest led by the Instituto de Astrofisica de Canarias), which suggested that there is more than one unknown planet in our Solar System. "Given the current definition of planet, this other mysterious object may not be a true planet, even if it has a size similar to that of the Earth, as it could be surrounded by huge asteroids or dwarf planets," explains the Spanish astronomer. "In any case, we are convinced that Volk and Malhotra's work has found solid evidence of the presence of a massive body beyond the so-called Kuiper Cliff, the furthest point of the trans-Neptunian belt, at some 50 AU from the Sun, and we hope to be able to present soon a new work which also supports its existence". Additional Editor's Note: Usually I would rewrite this story to remove references to Planet Nine. Generally speaking the search beyond Pluto and Kuiper Objects is the search for the mythical Planet X that may lurk near or within the inner Kuiper belt or far beyond in an unknown orbital radius or solar plane. This story sees a new twist on the tale with the potential for more than one significant planetary object beyond Pluto which is just one example of the outerplanets beyond the four Gas Giants. Is Planet Nine Even Real? A year and a half after it was proposed, astronomers are still debating whether the giant mystery planet actually exists. When Mike Brown first proposed that a hidden, massive planet lurks in the outer reaches of our solar system, he was confident someone would prove him wrong. “Planet Nine,” as the hypothetical world was nicknamed, was his explanation for the strange movements of half a dozen distant, icy planetoids that are farther away and smaller than Pluto: In theory, this huge, somehow-undiscovered planet could sway their orbits. But surely astronomers would be quick to find a more obvious explanation. Brown, the self-titled “Pluto Killer” who led the campaign that demoted the dwarf planet, and Konstantin Batygin, his coauthor at Caltech and a young star who plays in his own rock band, know how to spark debate. Since their proposal about Planet Nine, the lack of definitive evidence for or against its existence has divided the planetary community. Other astronomers have put forth alternative explanations, and some contend Brown and Batygin’s data are biased. Until someone clearly spots the new mystery planet in a telescope, they’ve come to an impasse. The peculiar clustering of the six faraway objects that Brown and Batygin’s initial hypothesis highlighted is extremely unlikely to happen just by chance. According to the duo’s mathematical arguments, it would be naturally explained, though, by a planet about 10 times as big as Earth in the region known as the Kuiper Belt. Batygin has come up with more recent evidence, too: The orbits of other distant solar-system objects yoked to Neptune have gotten “detached” as well, and other objects’ orbits have gotten tilted to the side or reversed, so the solar system as a whole no longer resembles a thin record or CD with the sun at the center. Planet Nine, if it exists, could explain all of those phenomena. “When all of these things come together, it’s becoming evident that without Planet Nine, the solar system has these weird puzzles and features that stand out,” Batygin says. His approach echoes that of astrophysicists when they inferred the existence of dark matter—which still can’t be seen—based on the rapid motions of stars in the outer realms of galaxies, and then clinched the idea with a more diverse array of evidence. But other experts remain skeptical. Even the most basic facts are in dispute. Scientists with the Outer Solar System Origins Survey, or ossos, argue that Brown and Batygin’s data are actually biased by factors like bad weather and their telescope’s location, which could influence what’s seen and what’s missed, thereby introducing a spurious trend. If this is true, then there’s nothing weird about the little balls of rock and ice in the first place. The ossos researchers say these objects mostly seem randomly oriented and not aligned by some unseen force. If there’s no clustering, then Planet Nine’s linchpin disappears. “While my research is skeptical of this planet, that’s not at all to say there isn’t a planet out there,” says Cory Shankman, an astronomer at the University of Victoria who led the research. He advocates for continuing the search for these hard-to-detect objects and understanding the biases while doing it. It’s slow, painstaking work. Shankman’s survey only covered one-twentieth of the sky, however. Other astronomers, such as those affiliated with the Dark Energy Survey, question their findings, just like Shankman questions Brown and Batygin’s. “The more objects you can find that bear on the story, the easier it is to talk about them as a population rather than a small handful of curiosities” says David Gerdes, a University of Michigan astrophysicist. One way or another, he believes, the answer will be clear within the next year or two. A theory’s more powerful if it doesn’t just explain what’s already known, but also makes successful predictions about things that haven’t been seen yet. If scientists find more objects throughout the Kuiper Belt and these objects are hardly clustered at all, it will deal a blow against Planet Nine. If the objects are similarly clustered as Brown and Batygin expect, it will strengthen their case. There have been many planetary misses in history, Smeenk points out, such as 17th-century claims of a moon orbiting Venus, which better data demonstrated not to exist. Two centuries later, astronomers attributed Mercury’s slightly peculiar orbit to the gravitational forces from an unseen inner planet, dubbed Vulcan. But when Albert Einstein’s theory of general relativity came along, it explained the orbit, debunking Vulcan claims. 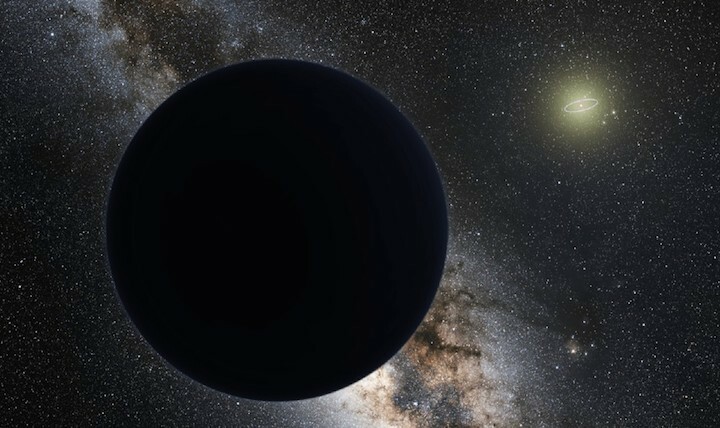 In the case of Planet Nine, Ann-Marie Madigan, an astrophysicist at the University of Colorado Boulder, believes everyone has missed a key suspect. The gravitational forces in the outer solar system could be more complicated, and the unlikely alignment of those icy bodies could all be a temporary coincidence. She argues that there are millions, if not billions, of planetoids—more than previously thought—orbiting in that distant, dusty disk of material around our solar system. Most astronomers have assumed that the forces of these tiny objects are so small that they can be ignored in models, and it’s difficult to model their behavior. But Madigan includes them all in her models, and has found that, as they orbit over and over again, the nebulous pull of their gravity gently and gradually clumps some objects together over time. This “self-gravity” mechanism, as she calls it, could explain the other lines of evidence brought forth by Batygin as well. Incidentally, both Batygin and Madigan invoke the principle of Occam’s razor, the notion that the simplest explanation is likely the correct one. But they come to completely different conclusions, highlighting that this seemingly straightforward principle is actually rather complicated, with no clear answer yet in sight.